The Burlington school budget barely passed the second time around, but pro-budget organizers appear to have outspent their opponents by a long shot. 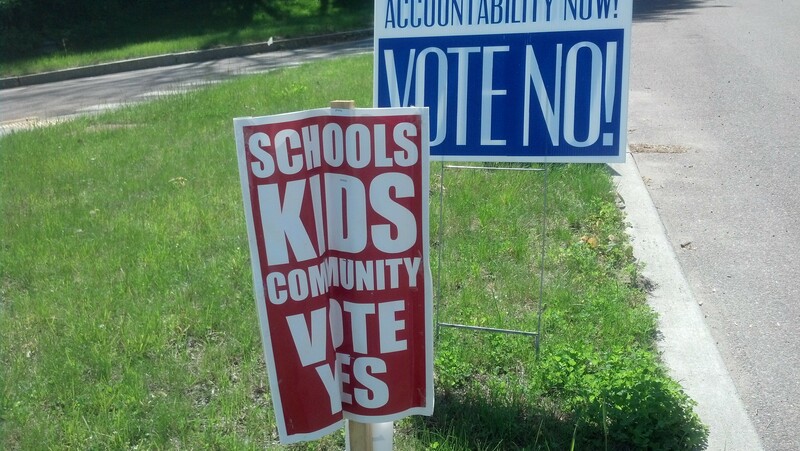 Burlington Friends of Education leafletted neighborhoods and plastered the city with red lawn signs urging residents to vote for the $67.4 million budget. All that paper added up: According to its most recent campaign finance report, filed with the Secretary of State on Tuesday, the group spent roughly $4,200 on the effort. They raised $4,000, which was split nearly 50/50 between contributions of more than $100 and those less than $100. A group formed by school board member Scot Shumski to encourage voters to reject the budget has not submitted a report to the Secretary of State, a step required of political action committees that spend $1,000 or more during an election cycle. Nearly 6,500 voters came out to the polls on June 3. After a recount, city officials determined that the budget had passed by just 71 votes — a margin of less than 1 percent. Three months ago, on Town Meeting Day, residents struck down the budget by about 700 votes. Friends of Education members admitted they hadn't done much leading up to the vote (any fundraising they did was under the $1,000 filing threshold), and the outcome caught them off-guard. The group has been sleepy for a number of years because the budget easily passed without their advocacy. Shumski didn't form his group until after the first vote.